Mild it was, and autumnal in the yellow-browning, tumble-downing leaves of Glasgow, when the siren call of a writing opportunity assailed my ears. Greedily, I scanned the call for articles and selected one, then two potential headings. My heart plummeted as I sought a third: my own specialism had already been assigned. A more prudent soul might have been content with two short articles: one would write itself, and the other posed an enjoyable challenge. Not for me the easy way. My ethic is never to turn away an opportunity, and what is a challenge but another way of forcing oneself to learn something new? I chose to write about Welsh music, a subject about which I am certainly not ignorant, but which is definitely not my specialist topic. By now it was December. Finishing the second article, I gleefully filed it and took our youngest teen to the cinema to celebrate reaching my two-thirds milestone. However, I soon realised that a fairly solid grounding in two centuries’ worth of Welsh music left me feeling about as exposed as a pole-dancer encountering Santa Claus in his home environment; moreover, we all know that December is the month when working mothers traditionally do a full week’s work, then as much again juggling the responsibilities of making Christmas happen at home. Worst of all, I had left the longest article until last, so I was, in effect, only halfway through my challenge. Migraines and digestive disorders followed in close succession, but I manfully (womanfully) ordered appropriate literature from Amazon, sorted out Christmas presents and cards, rehearsed and led a choral service of lessons and carols, then settled down to the file full of notes that I’d compiled a couple of years ago whilst researching Welsh and Irish song collecting contemporary with the Scottish activity that my PhD had been based on. Wild it was and wintry now, and the clouds outside were nothing compared to the fog of panic enveloping me indoors. 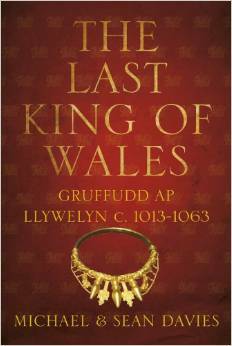 I now possessed a shiny and magnificent book about The Last King of Wales: Gruffudd ap Llewelyn c.1013-1063 (the back cover alluded to his patronage of the arts, which sounded distinctly hopeful); not to mention a tatty Penguin book about Giraldus Cambrensis, but the history of Wales was, so the supplier informed me, on its way from the USA – by canoe, I imagine, or a carrier-pigeon coasting his way downhill to retirement. I drafted an outline, wrote a few headings, and began my mini-bibliography. Certain that I could not commence my task without the pigeon-bound history book, I went to the University Library on Christmas Eve, where the soothing silence of Level Eight lulled me into a semblance of security. Five books came back with me, and I now had no excuse but to get on with it. I had five days left, and Christmas would take care of one of them. 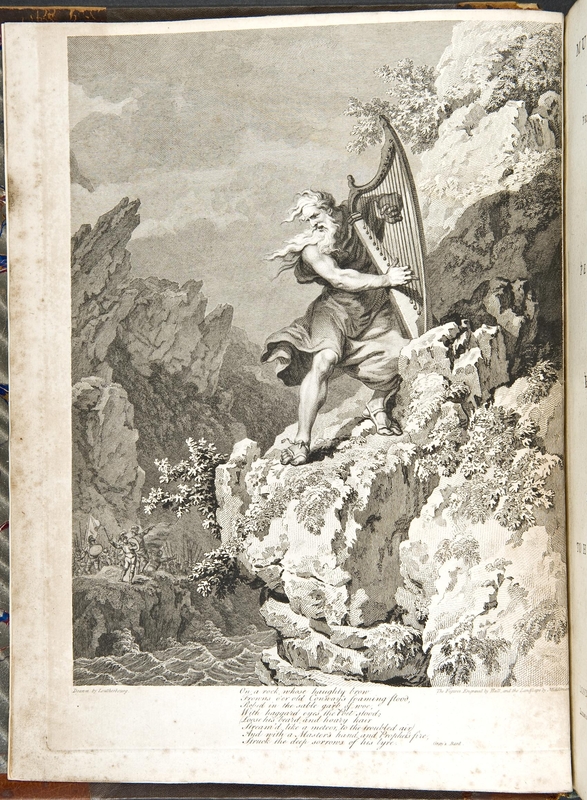 Ruefully, I reflected that Handel had written his Messiah in a panic, to get himself out of horrendous debt. If desperation could yield such inspiration, then surely I could manage 2,500 words for no monetary reward? By the end of Christmas Eve – just before I headed out to play for the midnight carol service – I had written two-thirds of the article. Christmas in our house was immeasurably fraught, and on top of that, our hot water boiler, repaired three weeks earlier and surely certain to avoid Christmas chaos, had packed up again. I crawled into bed at 7 pm, unable to deal with any further crises. Boxing Day dawned, and there was no excuse: the rest of the article had to be written. I had written the easiest sections, and left the parts that I knew most about; I wanted to do them justice with the full benefit of the insights that I was able to draw upon. Cold it is, and dark again. I finished the last sentence and baked a turkey pie. What else would I be doing at Boxing Day dinner-time? (It was a very good pie, with a suet pastry crust, I might add.) Then I watched a bit of TV, before re-reading, doing a final edit, and choosing the headwords. I’ve just filed the third and final article – three days early. I’m still in Glasgow. I didn’t actually need the library books – though my new Gruffudd book was definitely useful – and I’m still watching out for that pigeon. But my late, Welsh father would have been proud of me. For to my mind, this entire festive season has simply been – my wild Christmas in Wales. POSTSCRIPT: My History of Wales arrived a mere twelve hours too late. Shame!